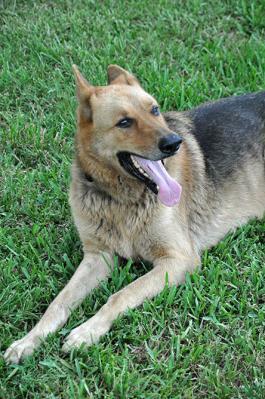 DRPEPPERHASAHOME - Southwest Florida German Shepherd Rescue Inc. HANDSOME DOCTOR PEPPER HAS A NEW MOM FOSTER FAILURE TIME We just got Dr Pepper into our rescue. Dr Pepper's mom and dad passed away and their son was left to care for this handsome boy. He was unable to do the adoption himself and turned him over to us. Dr Pepper has lived inside his entire 8 years of life. 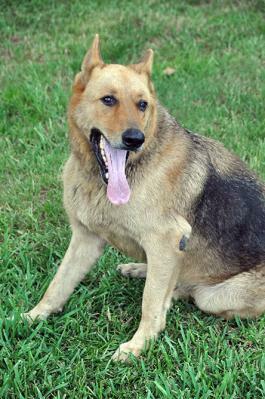 He weighs 91 pounds and is a healthy neutered black and tan male GSD. 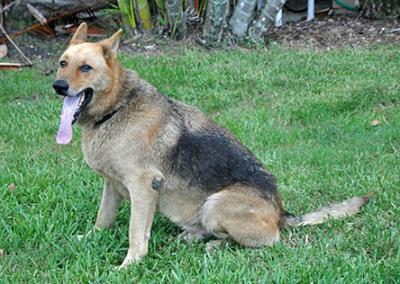 He is now in a foster home in N Ft Myers and can be seen immediately. 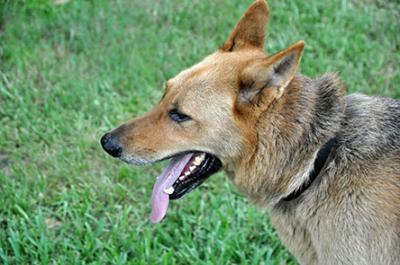 He is HW Neg, has all shots, is quite a happy boy and is both dog and kid friendly and housebroken. He is getting a much need bath and will be available tomorrow. He isn't use to cats, so no cats for now. 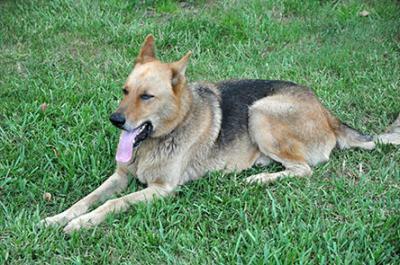 He needs some leash training but he is calm, affectionate and was spoiled by his owners as very much loved. 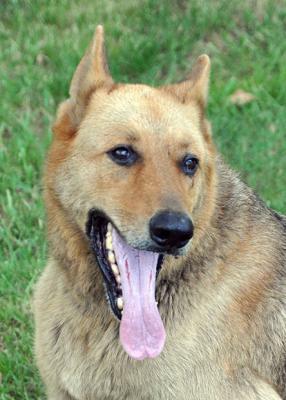 This is a great companion dog, extremely dog, kid and people friendly. Please check him out as he would make a fine family member. He likes to swim, take walks and he absolutely loves car rides. 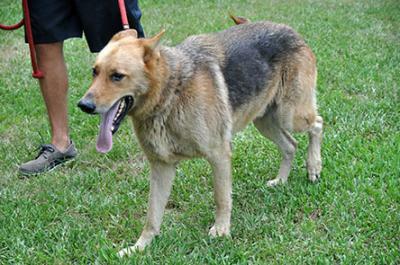 He is a 100% family dog in need of a new family. If you want to make him yours, please call for an appointment to see him.